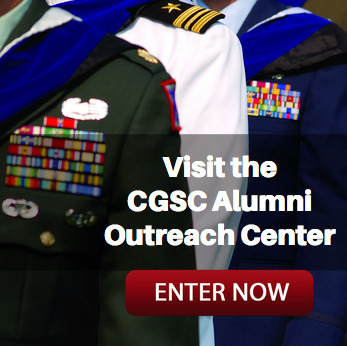 Next InterAgency Brown-Bag Lecture April 3 | Command and General Staff College Foundation, Inc. The next lecture in InterAgency Brown-Bag Lecture Series will be conducted at 12:30 p.m., April 3 in the Arnold Conference Room in the Lewis and Clark Center on Fort Leavenworth. Retired Ambassadors David Lambertson and Patrick Moon will present Ambassadorial Expectations and Country Team Operations. 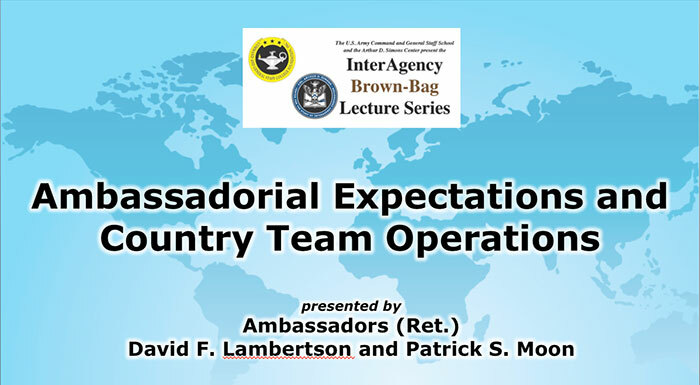 In their presentation they will discuss an Ambassador’s expectations of U.S. personnel operating in a foreign country as either part of a combatant command or as a member of the Embassy Country Team. They will also discuss Country Team structure and operations. Ambassador David F. Lambertson served as the U.S. Ambassador to Thailand from 1991 to 1995. He served as a Foreign Service officer for over 32 years with overseas assignments in Saigon, Medan (Indonesia), Paris (Vietnam Peace Talks), Tokyo, London, Canberra, Seoul, and Bangkok. Ambassador Patrick S. Moon entered the Foreign Service in 1979. He served as the U.S. Ambassador to Bosnia and Herzegovina from 2010 to 2013. From 2013 to 2015 he served as the Civilian Deputy to the Commander of U.S. European Command where he was the senior civilian in the command and he established an interagency program for U.S. Ambassadors in Europe to meet with senior U.S. military leaders at EUCOM headquarters. His other overseas assignments include duty at Zagreb, Beirut, Lubumbashi (DROC), and at NATO headquarters. All lectures in the InterAgency Brown-Bag Lecture Series are free and open to the public. Normally attendees are welcome to bring their own lunches into “brown-bag lectures,” but this particular lecture is being conducted in the Eisenhower Auditorium in which food/drink are not allowed. 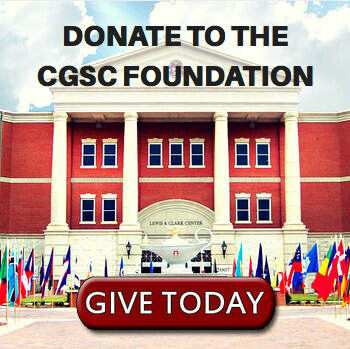 This series is co-hosted by the CGSC Foundation’s Simons Center with the U.S. Army Command and General Staff School (CGSS). The InterAgency Brown-Bag Lecture Series is an extracurricular, interagency topic-focused series that is intended to help enrich the CGSS curriculum. The presentations are scheduled each month. The CGSC Foundation and the Simons Center have received support for all brown-bag lectures in academic year 2018 from First Command Financial Services in Leavenworth, Kansas. A schedule for future InterAgency Brown-Bag Lectures can be found here.